Time is NOT paused when switching games. Cumulative IGT for all 6 games can be calculated after the run, but RTA is required for this category! 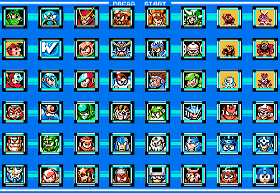 Any% rules: Timing starts when start is pressed in Mega Man 1 and ends on final Wily hit in Mega Man 6.